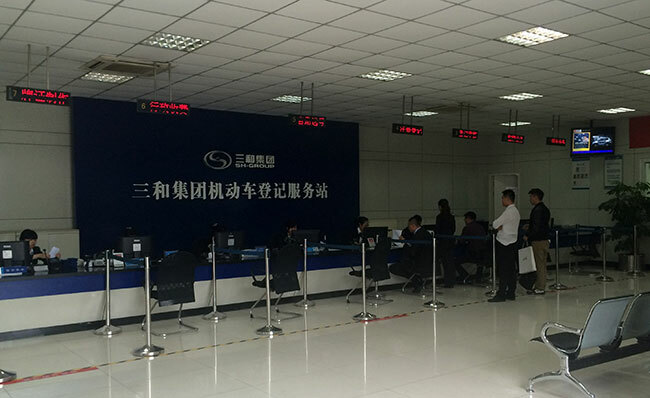 Service category of Sanhe Motor Vehicle Registration Service Station: 1. registration of new autos; 2. mortgage registration; 3. annual examination for six-year free-inspection; 4. post-registering/change of license plate; 5. transaction of temporary license plate; 6. Collecting agency of automobile acquisition tax; 7. license plate making; 8. Renewal/correction/degradation of driving license, etc.